London is beautiful in the sunshine and there is nothing worse if you happen to be lucky enough to find a sunny day to be dining in the underbelly of some restaurant basement. 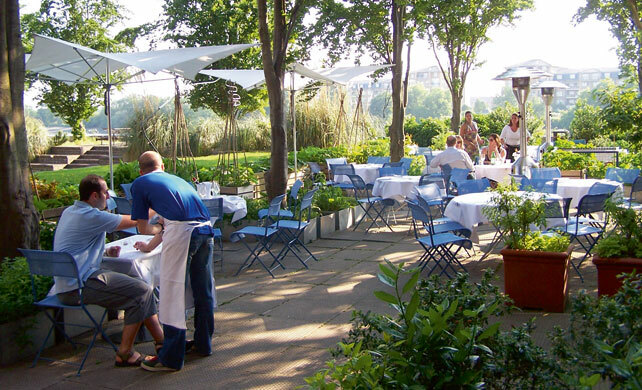 Here then is the Design Restaurant guide to the best restaurants in town with al fresco dining for those fleeting but fabulous days when summer touches us with its rays. Tucked away in a corner of west London’s fashionable Notting Hill neighbourhood, Brett Graham’s Ledbury is now rated among the top 10 restaurants in the world. 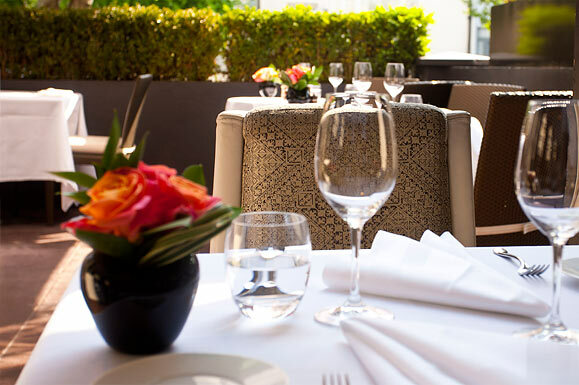 Now with its second Michelin star, Graham’s cooking is in great demand, and as the terrace does not accept reservations yet it’s a great way to bypass the long waiting list. For more details click here. Andre Balazs (Chateau Marmont) latest achingly cool project sits in a red brick former fire station. 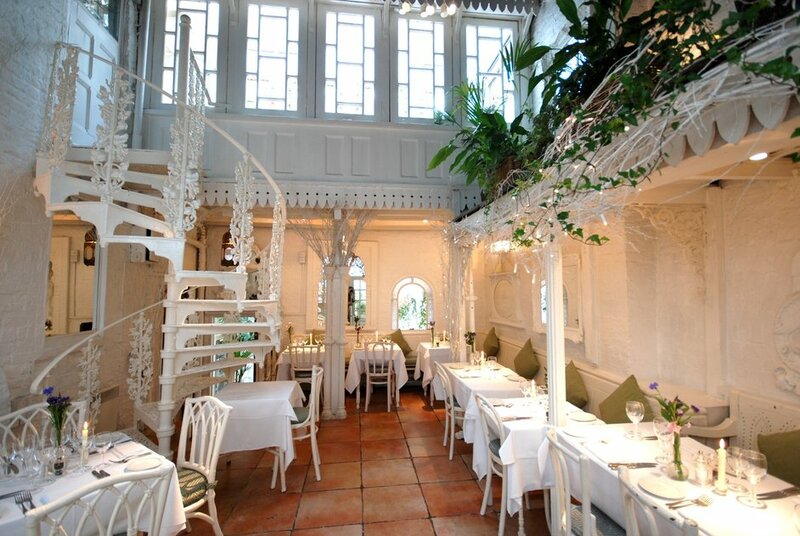 The food is global with lots of interesting twists and surprises and the pretty candle lit courtyard truly is the only place to be seen at the moment. For more details click here. 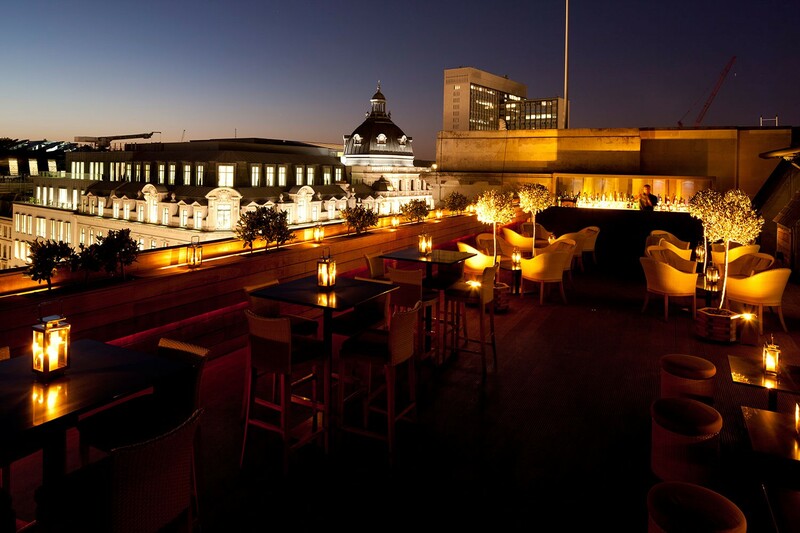 Considered one of the capital’s finest dining destinations, the spectacular roof terrace overlooking Regent Street of both of these restaurants is like walking into a set for a music video. Cocktails and sake abound and the food at either venue is excellent. For more details click here. 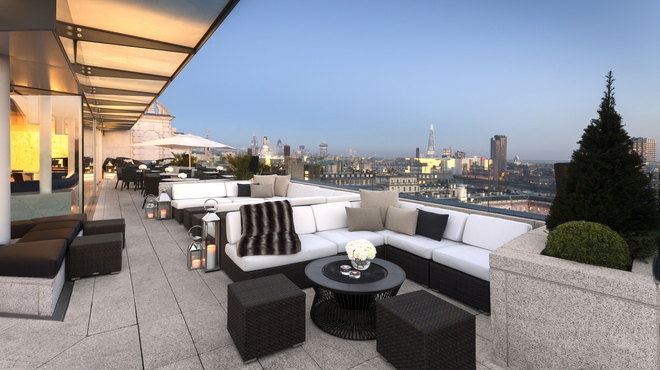 Babylon promises exquisite cuisine, fantastic service and spectacular views of London’s city skyline. When the weather is right, guests can enjoy a seafood and champagne bar on the terrace overlooking the flamingo pond and make the most of those magnificent views. For more details click here. 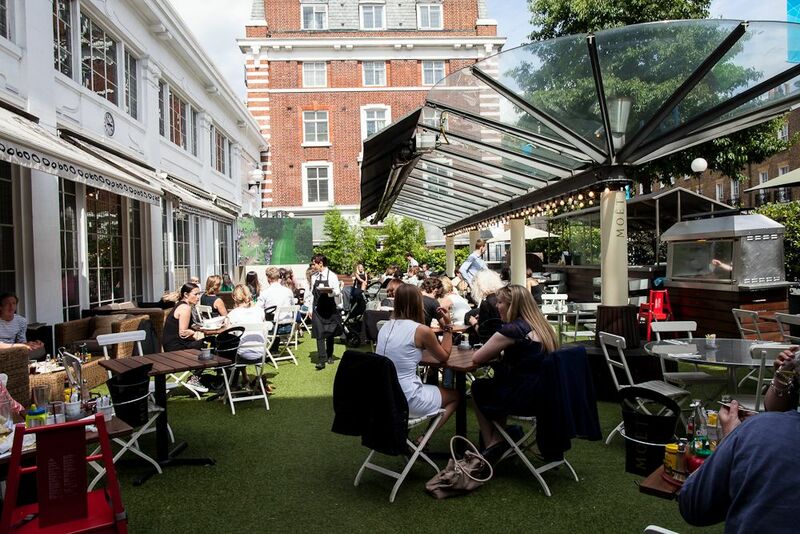 The Chelsea Riverside Brasserie has the most enviable location within easy reach of central London. 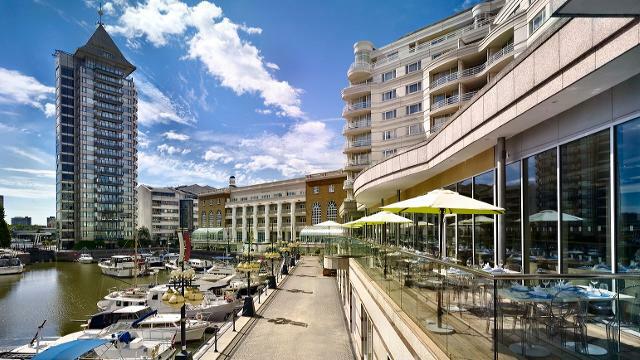 Overlooking the glittering Chelsea Harbour, the Brasserie benefits from a glass fronted bar which boasts a generous outside terrace – the perfect place for alfresco dining or to meet friends for drinks. Click here for more details. Opened in 1969, the decadent originality of this iconic restaurant remains. A maze of glamorous rooms and eclectic furnishings with murals, church pews and pulpits, a honeycomb of small eating areas and alcoves each in a different style including the Garden Room which has fully retractable roof to take advantage of sunny days. For more details click here. 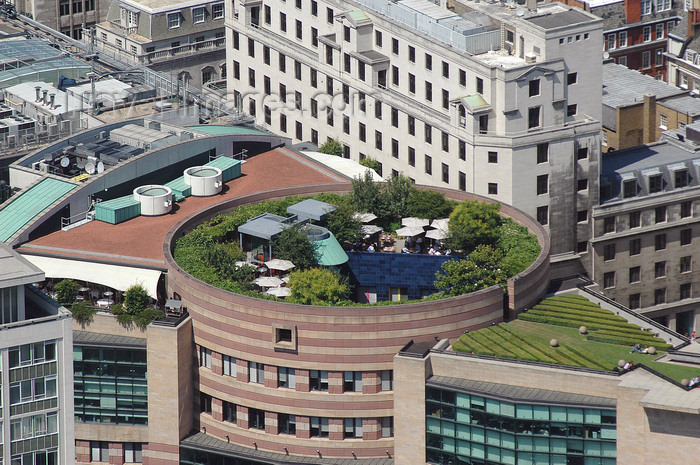 This is rooftop dining in London at its best – in the heart of the city overlooking the famous Square Mile at No 1 Poultry Lane, this elegant and contemporary French fine dining restaurant with understated decor offers a remarkably glamorous roof garden with manicured lawns and lighting. Click here for more details. The subtle opulence and graceful ambiance of this lovely restaurant with large windows inviting the outside in makes the most of the river vista. 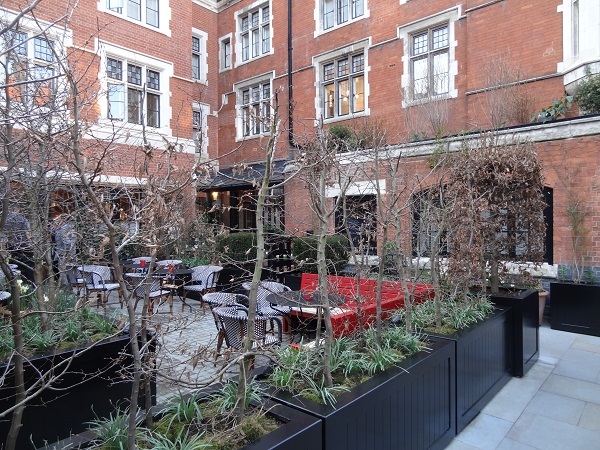 With an extensive cheese counter and fine wine list, the delightful parasol covered balcony seats 21 for al fresco dining on warmer nights, and lower level casual seating leads out to the lawn and river beyond. For more details click here. This west London institution has one of the most famous and sort after terraces in London offering sanctuary from the bustle of the King’s Road. 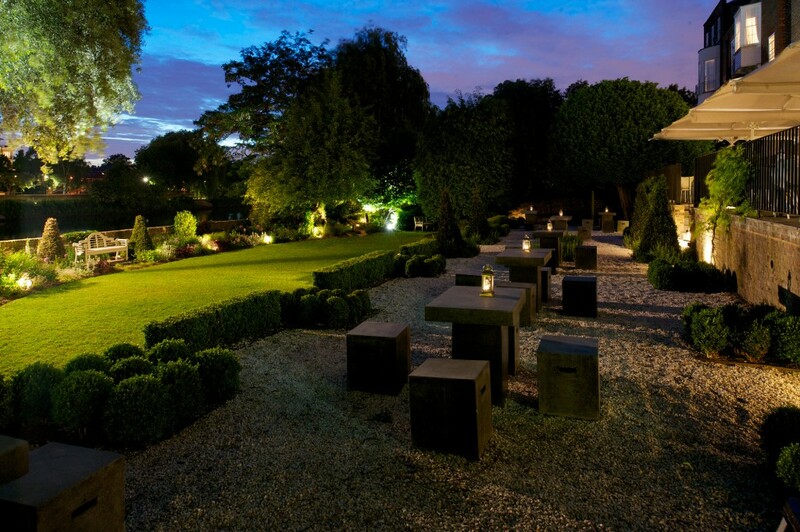 Enjoy the all-day-BBQ in the sun dappled courtyard and relax under rugs and heaters if the evenings get chilly. For more details click here. This world famous eatery has been a training ground for many a chef and is known to be the kitchen where Jamie Oliver was discovered. The dining room is contemporary, light, bright and airy with ceiling to floor windows leading out on to a beautiful terrace for summer al fresco dining. For more details click here. Exceptional member dining benefits are available at the majority of the restaurants above. For details on how to join go to www.designrestaurants.com or call 01276 850581 today.